Description: Many bank notes were issued for years after their stated series date. Two dollar bills from 1878 were only printed in 1878 and 1879. Most examples are relatively common. However, there is one very rare variety. Keep reading to find out which one. 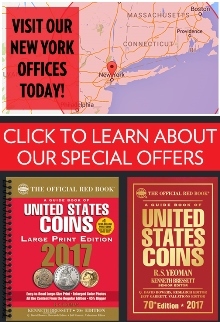 Seal Type: There was just one type of red seal used on 1878 $2 bills; it is the same one you see on the above bank note. 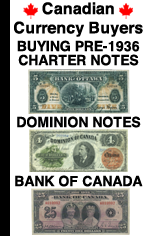 Varieties: There are two different types of 1878 $2 legal tender notes. Some are signed by Allison and Gilfillan and others are signed by Scofield and Gilfillan. Notes with the Scofield signature are very rare! Value: The common signature combination for the 1878 $2 legal tender note traditionally sells for around $150 to $400. High grade notes are of course worth more. 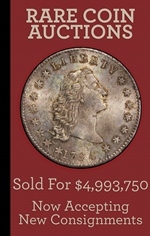 The rare signature combination can be worth thousands of dollars, even in circulated condition. Please contact us for details. 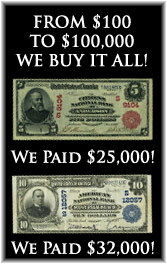 We buy all of these 1878 $2 bank notes issued by The United States. The main factors that affect the value are the condition and sometimes the serial number. We have to see pictures in order to provide any value information. You can text pictures to 864-430-4020. You can also attach pictures to an email message. You’ll never know what we would have offered unless you ask. The value might surprise you in a good way.